Well-known explorer Kingsley Holgate, his son Ross and their adventurous team have travelled to every country on the African continent. It’s taken much of a lifetime and their journeys of discovery have explored some of the world’s most extraordinary regions, including the Danakil (hottest place on Earth) and the Sahara (largest desert in the world), circumnavigated the globe following the Tropic of Capricorn, traversed the length of Africa’s 5,000-kilometre Great Rift Valley, and in a single 449-day journey, tracked the outline of the African continent through 33 countries. In so doing, they reached six out of seven of Africa’s ‘extreme’ geographic points. During the Outside Edge expedition, they reached the northern (Ras ben Sakka at Cape Blanc, Tunisia), southern (Cape Aghullas, South Africa) and western (Pointe des Almadies, Cap Vert Peninsula, Senegal) extreme points. The Great Rift Valley expedition included Mt Kilimanjaro – the highest, and Lake Assal – the lowest points in Africa. In 2015, their tough ‘Heart of Africa’ expedition located the continent’s geographic centrepoint deep in the rainforests of the Republic of Congo – a world-first discovery verified by the International Geographic Union, and an incredible story that was recently told in Wildside magazine. 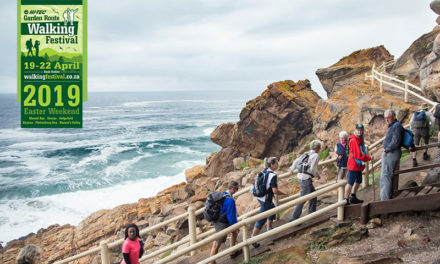 But one geographic goal still remained: the most extreme easterly point of Africa. Called Ras Xaafun, it is a remote promontory 115 kilometres south of the tip of the Horn of Africa, in the north-eastern province of Puntland in war-torn Somalia. Surrounded by thousands of kilometres of inhospitable desert and mountainous terrain and cut off from the rest of the world by conflict, it is one of the most inaccessible places on Earth. 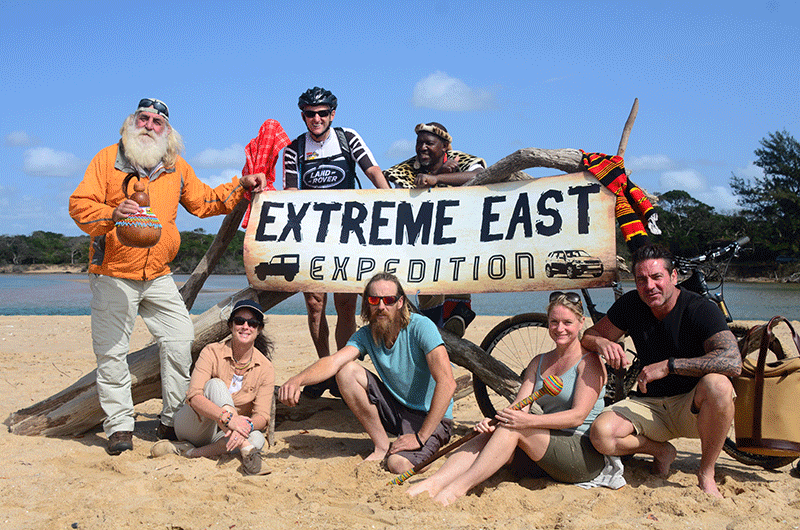 Late last year, they embarked on one of their most dangerous journeys to date – the Extreme East expedition. As always, the story is best told from scribbles in Kingsley’s expedition journal.